How to Create a Barber Shop Logo? You must already know that your company can’t go far without a smart corporate logo. A logo is not a triviality; it’s the foundation of your brand’s success. 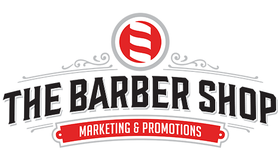 A barber shop logo must look just as appealing as the result of the barber’s work. For the most part, barber shop emblems employ black, brown, white, red, dark blue, and a few other colors. As for icons, the most common options include a bearded hipster (sometimes with a skull instead of a face), razors, scissors, combs, and of course, the famous barber’s pole in red, white, and blue. Experiment with plain, “brutal” font families such as sans serif (Helvetica Bold, Calibri) and slab serif (Clarendon, Candida Bold, etc.). Remember that your logo must appeal to men, so say “no” to cute scrolls and patterns. How do I create a barber shop logo for my brand?